Hello, I’m Dennis Spielman, author of the imaginative sci-fi/fantasy novel, The Crashing of Heaven and Hell. I’m writing a guest blog post about the mysterious subject of “inspiration.” Where does it come from? What does it want? Will it kill me? To answers those in order: everywhere, an outlet, and yes. For me, ideas come differently for each project. In the case of The Crashing of Heaven and Hell, the song, “Something of an End” by My Brightest Diamond, was my main muse. 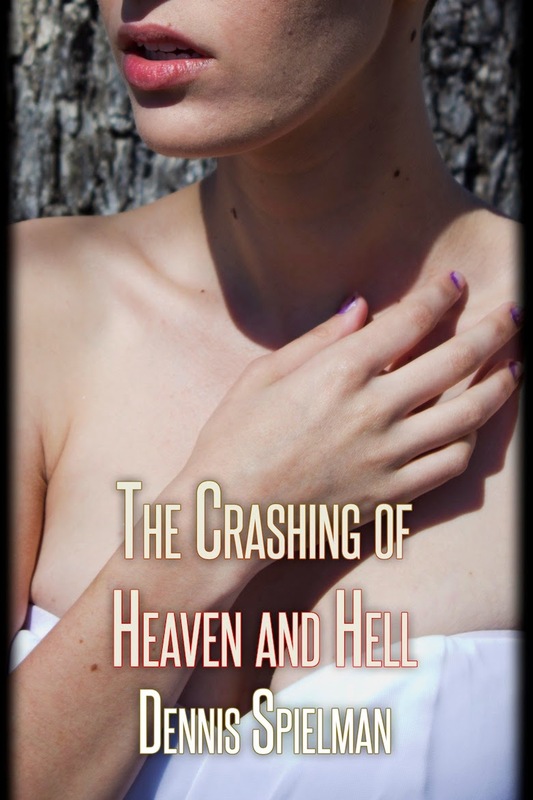 The lyrics about Heaven and Hell crashing down created this powerful picture to me and so I wrote a rather literal story about Heaven and Hell crashing down on a planet. While the song was more symbolical, my mind went in the “What If” direction and I answered. On the subject of asking, “What If,” it’s great for brainstorming sessions. I have accepted, and you should too, that inspiration will come from anywhere—usually at an inconvenient time. For me, it's when I'm at work. I do my best to jot the idea down, but if I can’t write, I will repeat it over and over again, adding more and more to the idea until I can throw it in the oven and move on. I can’t wait for these moments to write all the time or else I would never finish anything especially since according to Neil Gaiman elves will not come in the night and finish any stories. (I've set up hidden cameras and saw no elves.) It does help me to multitask to get into the writing flow. Someone can tell if I’ve been writing by the fact my place is clean and by the fact I have him or her read whatever I wrote. It also works the other way with my place being dirty because I’ve been too busy with a project. The topic of keeping your muses from killing you isn’t something writers talk about. I’ve only heard about the topic once from the TED Radio Hour podcast, Where Ideas Come From. At any given time, I have several projects going on at once. What has helped me stay sane is to focus on one major project at a time while writing notes and dialogue as they come in organized files for my other projects. I have one document that outlines every single project and the approximate order I would complete them. This document by the way has several years of work planned out on it. It’s daunting, however, by just doing a few things at a time, I’m good. Inspiration is an amazing thing. However, without hard work the ideas that came my from moments of inspiration would have never blossomed. It took several years to finish The Crashing of Heaven and Hell, but I finished it and I'm going to finish much more. 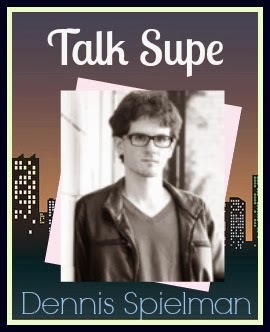 Dennis Spielman is locally known for producing the travel show site, Uncovering Oklahoma, which he started back in 2009. He’s author of Uncovering Oklahoma’s Date Idea Book series and The Movie Murder Mystery Party, along with several short stories and movies. He also produced an improvised comedy series, Dennis Spielman’s [Wild] Improv Challenge, and directed the Twinprov music video, Iron Man 2 Rap (Lady Gaga Bad Romance Remix). He spends most of his time working, exploring new places, and creating new projects, both big and small. Contest open internationally, ends November 8, 2013. Music always inspires me too. I also get inspired by my dreams. Great guest post.